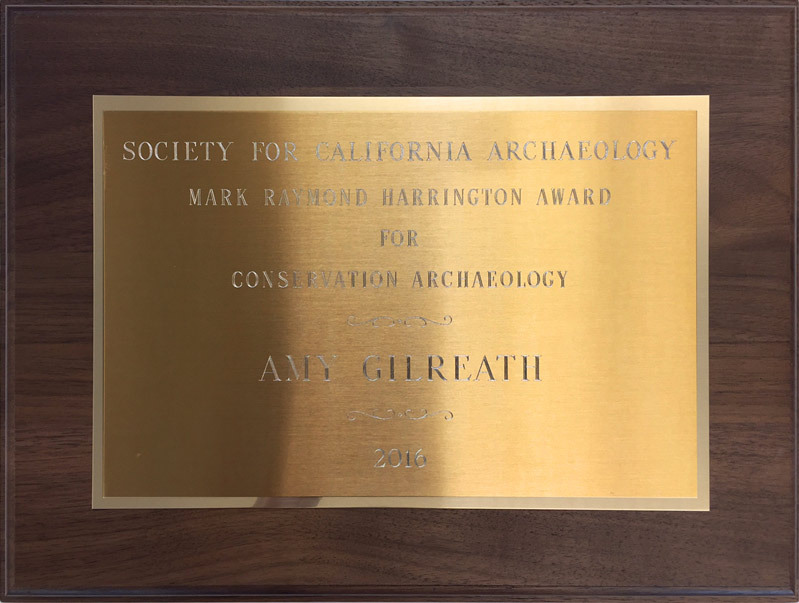 The Society for California Archaeology presented Amy Gilreath with the Mark Raymond Harrington Award for Conservation in Archaeology. 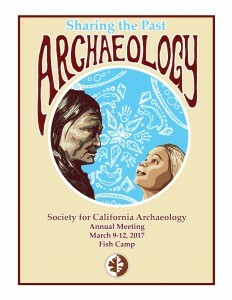 Read more about her award at www.farwestern.com/news. 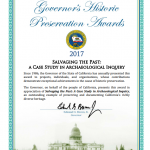 Far Western received the Governor’s Historic Preservation Award for our work on the Cuyama Valley: A Corridor to the Past Project. 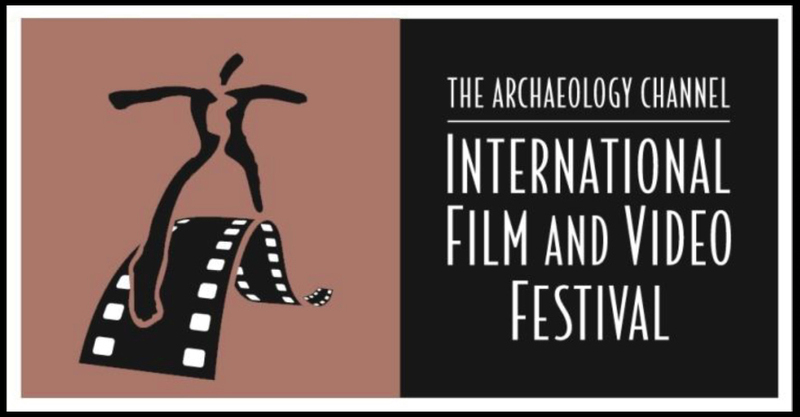 The project showcases seven archaeological sites that underwent initial salvage excavations in the late 1960s and early 1970s, with final analysis nearly 40 years later. 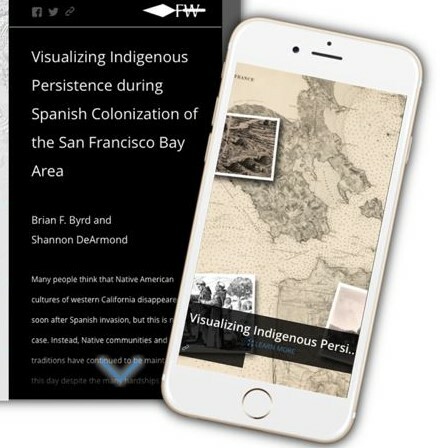 The project included a digital booklet, exhibit and 3D gallery. 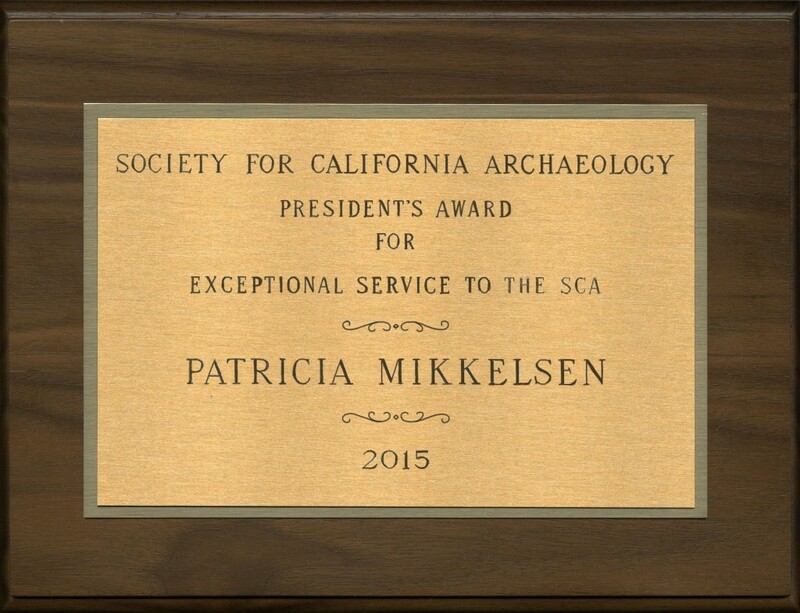 The SCA President’s Award for Exceptional Service to the Society for California Archaeology was awarded to Patricia Mikkelsen. 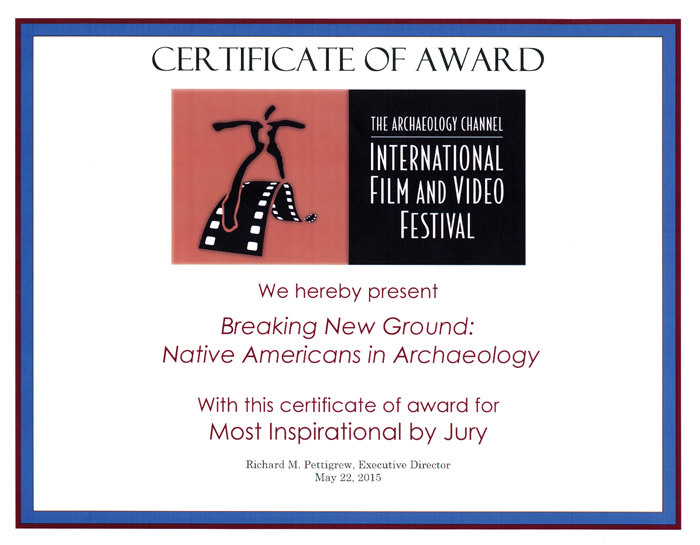 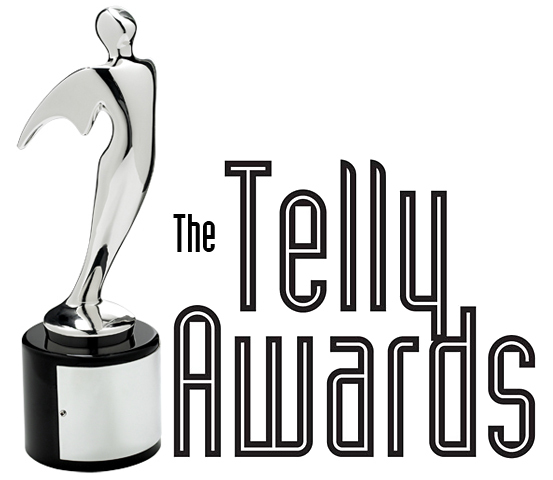 The Archaeology Channel Film Festival presented the film makers of “Breaking New Ground” with the Most Inspirational Award. 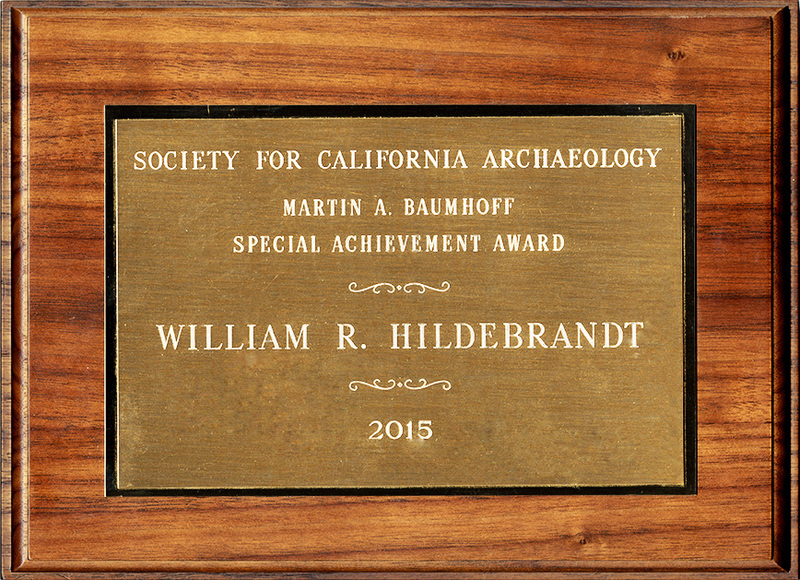 The Society for California Archaeology presented William Hildebrandt with the Martin A. Baumhoff Special Achievement Award. 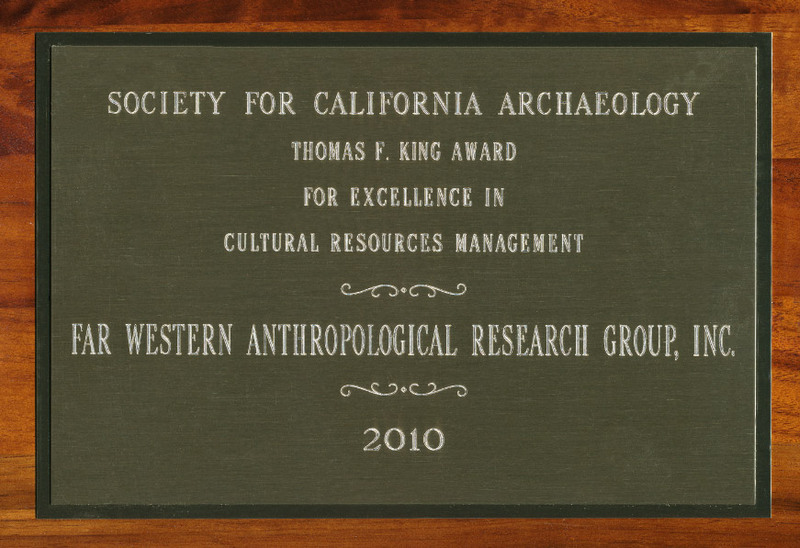 Far Western received the Society for California Archaeology Thomas F. King Award for Excellence in Cultural Resources Management. 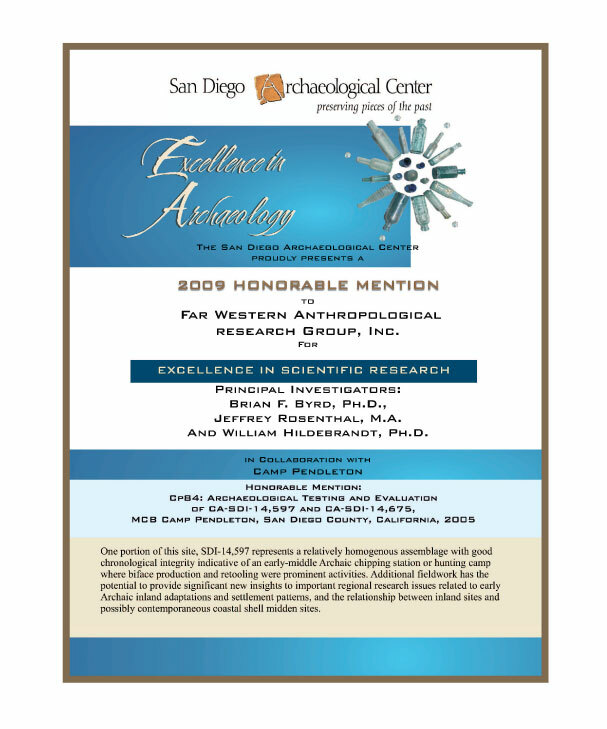 Brian Byrd, Jeffrey Rosenthal, and William Hildebrandt received an Honorable Mention for Excellence in Archaeology from the San Diego Archaeological Center for their work at Camp Pendleton. 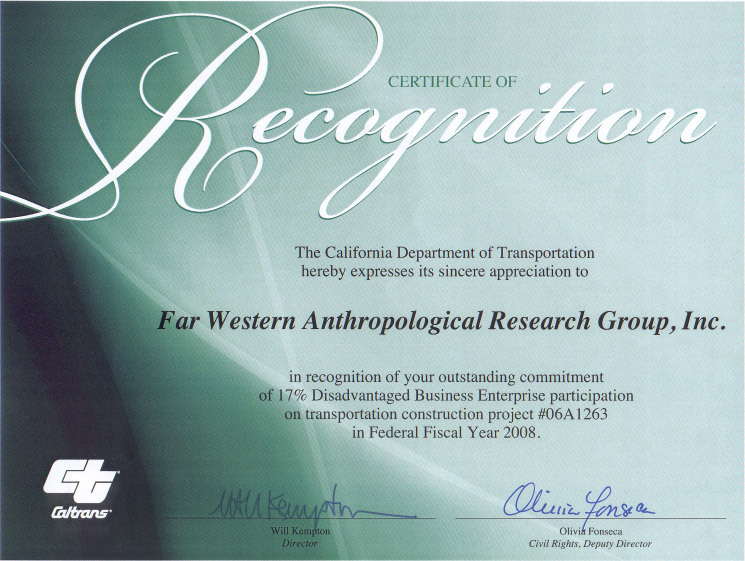 Far Western was recognized by Caltrans for an Outstanding Commitment to Disadvantaged Business Enterprise participation. 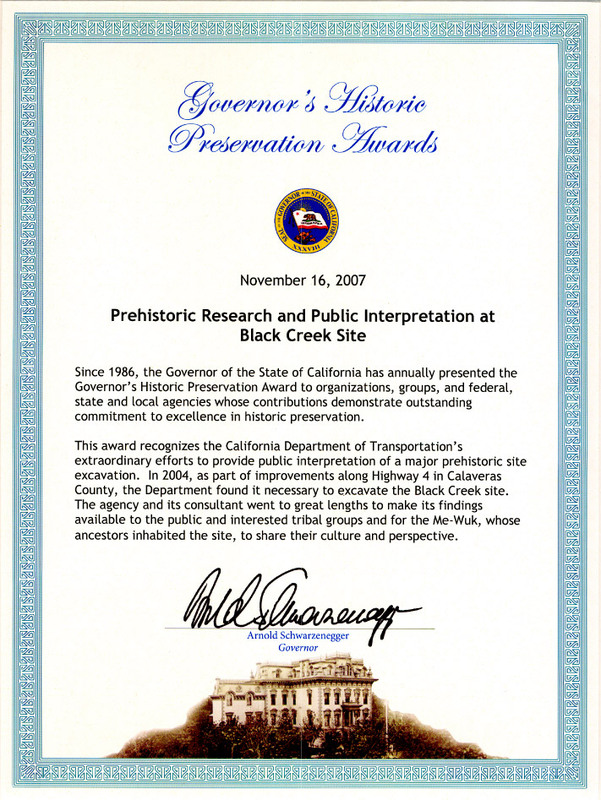 Far Western received the Governor’s Historic Preservation Award for our work on the Black Creek site in Calaveras County. 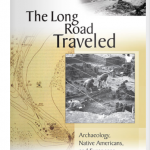 This included a technical archaeological report, plus a public brochure, Stealing the Sun, which presents an archaeological overview and traditional Native Me-wuk stories about the area. 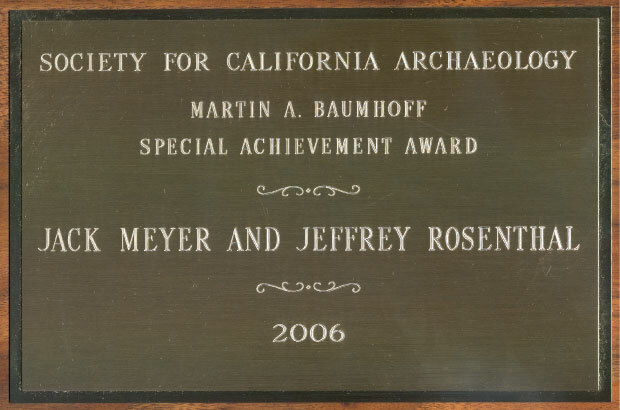 Jeffrey Rosenthal and Jack Meyer were awarded the Martin A. Baumhoff Special Achievement Award from the Society for California Archaeology. 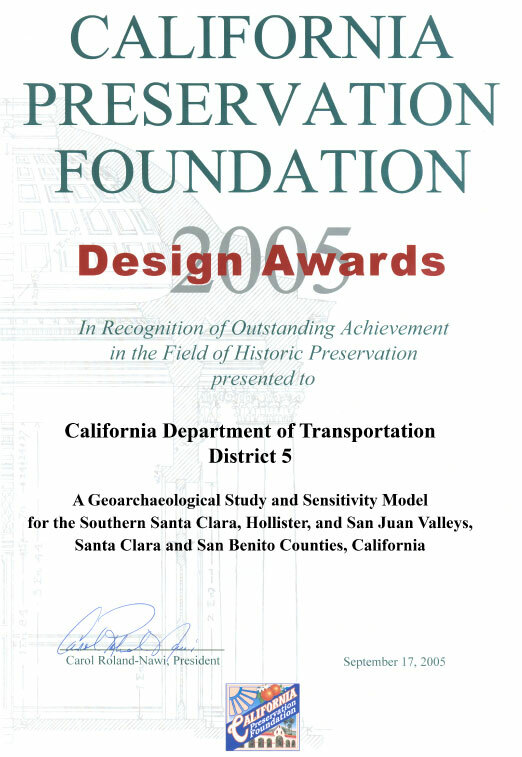 The California Preservation Foundation presented their Design Award to Jeffrey S. Rosenthal and Jack Meyer for their groundbreaking Geoarchaeological Study and Sensitivity Model for the Southern Santa Clara, Hollister, and San Juan Valleys.